IGT has been producing entertaining games for casinos since 1981. As a private company, you can trace it back to the early 50’s. The company was founded in the U.S. and has been providing games for the brick & mortar casinos for more than thirty years. IGT is also known for providing some of the best quality online casino games in the industry. The IGT casino portfolio can be enjoyed on some of the largest and most successful online gambling sites. IGT’s casino suit is complete and offers the players a great mix of slots, mobile games, table games, video pokers and instant win games. During the last decade, IGT has been growing as an online casino provider. WagerWorks was bought in 2005. The same year they expanded with offices in Russia, Mexico and Macau. They were also honored with first place in Global Gaming Business magazine's Gaming & Technology Awards. 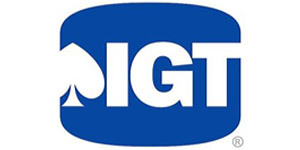 At the 2009 International Gaming Awards in London, IGT was selected as the best Slot Manufacturer of the year. In 2011, IGT acquired the Entraction poker network which means that IGT since then provides a high quality poker product as well as a great sports book platform. IGT provided the largest penny slot jackpot ever to have been won. $18.8 million was won in January 2007 on IGT’s Penny Megabucks at the Pahrump Nugget Casino in Nevada. The IGT casino portfolio holds a complete selection of more than 130 high quality online casino games. The largest part of the casino suit is slot machine with a good selection of branded games such as Monopoly, Elvis Top 20, Star Trek, Dungeons and Dragons, Jeopardy and many more. Besides slots, IGT’s game portfolio includes mobile games, table games, video pokers and instant win games. The IGT casino games do not require you to download and install a casino client. You play the games in your web browser. Normally, casino games perform better in downloaded casino client but the IGT games are great in instant play. The graphics, sounds and smoothness are as good as it gets. You will find a number of progressive jackpot games. Some of the most popular jackpot games in the IGT casino suit are Cleopatra, Cluedo Jackpots and Monopoly. The biggest ever jackpot that has been won at a land based casino was developed by IGT; 18.8 million was won in January 2007 on IGT’s Penny Megabucks at the Pahrump Nugget Casino in Nevada. IGT powers some of the largest online casino brands. It is often used in combination with other casino providers. Many of the sports betting focused companies use the IGT casino software. « More casino guides or show all guides Article last updated: Friday, August 24, 2012.